ARF or RTF Discuss ARF (Almost Ready to Fly) radio control airplanes here. It is an ARF it came in a plain white cardboard box. The picture is not my plane but a picture of one I found, mine is just like it. It is an ARF kit or a stick kit? If it's an ARF, do you know the wingspan or wing half span if it's a two-piece wing? 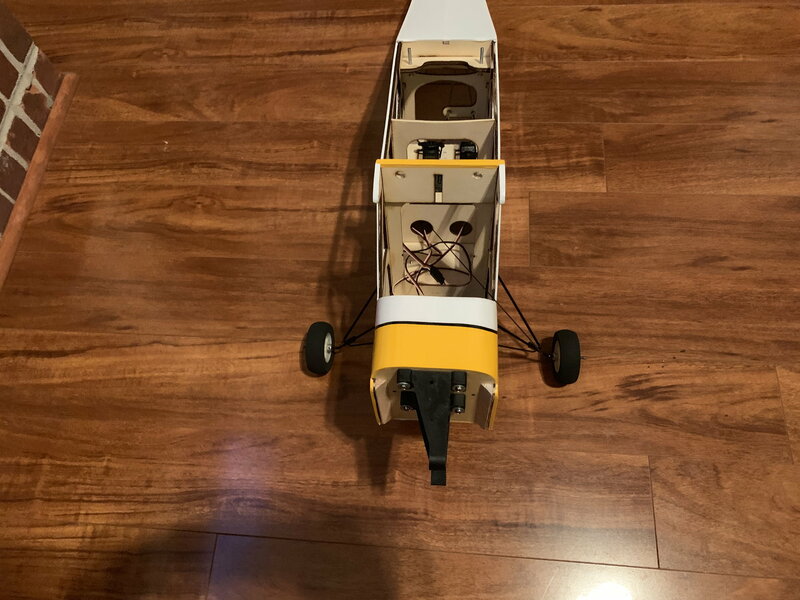 How wide is the fuselage body. 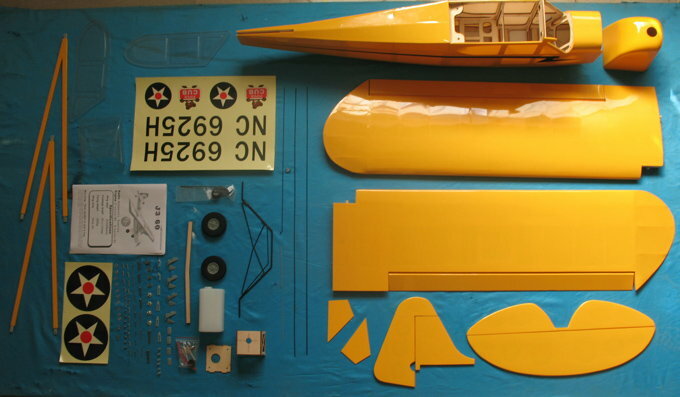 If you know total wingspan, that will eliminate a lot of kits and help you zero in on what you've got there. 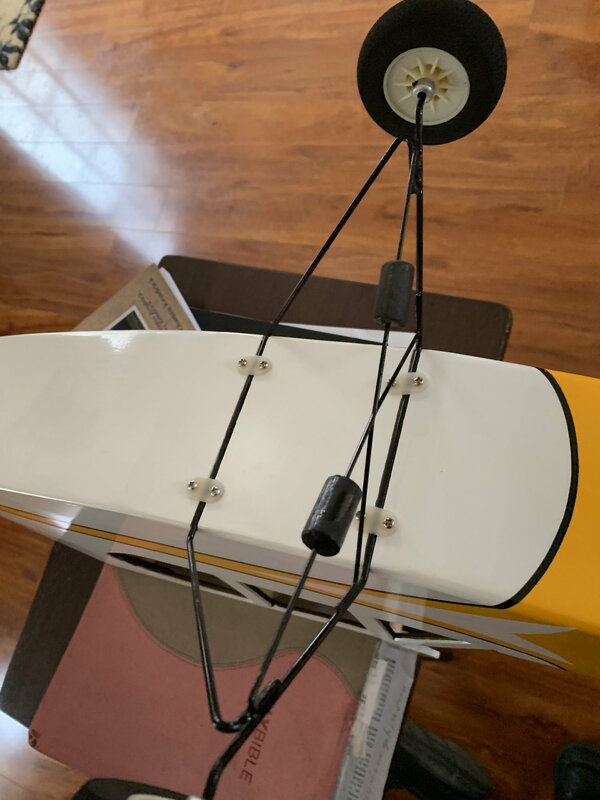 Could you take a picture of side of the fuselage on your kit showing where the wing support tube is inserted? 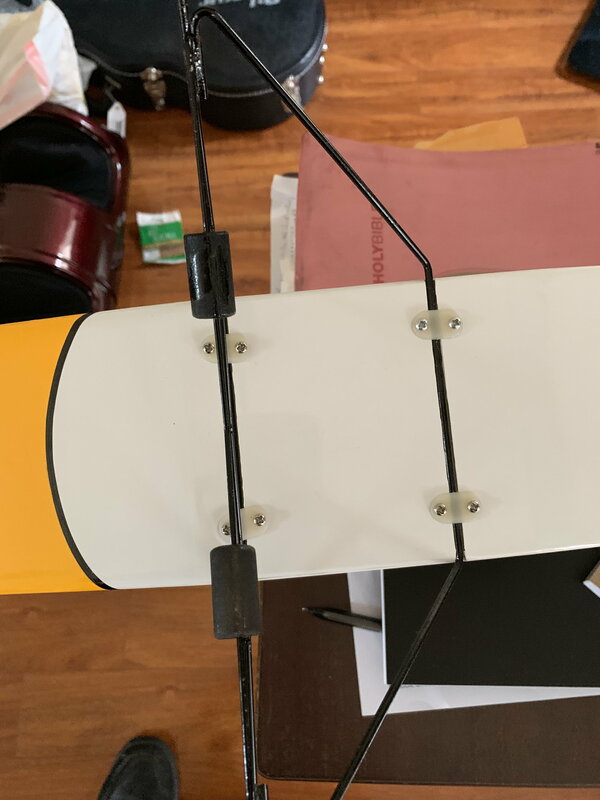 Also, take a picture of the ailerons and flap surfaces, if it has flaps. Does it have corrugation details molded in or they just plain flat surfaces. Those are the key areas I used to identify my unknown cub a week or two ago. The guy I bought it from said it was a Hangar 9, but it didn't look right to me. 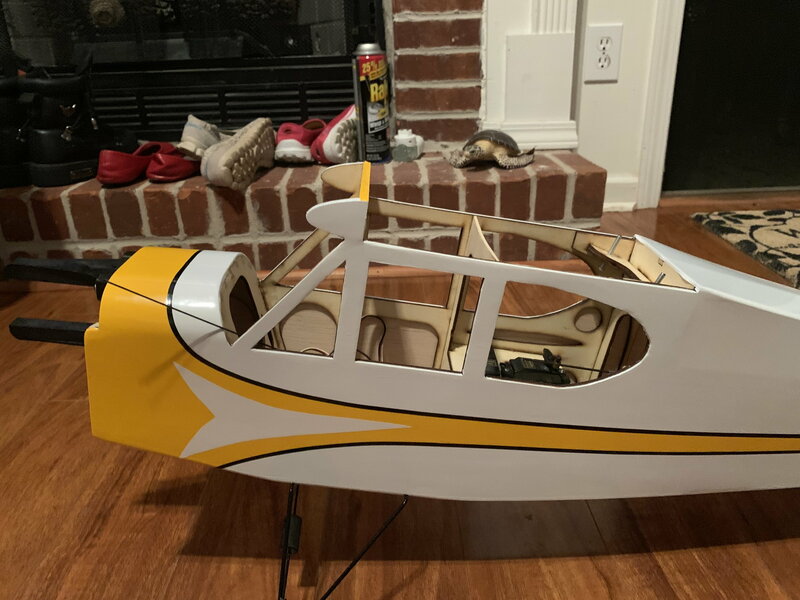 I used their instruction manual to exclude it as a Hangar 9 and used pictures on the internet, mostly from this forum, to identify which manufacturer it was. 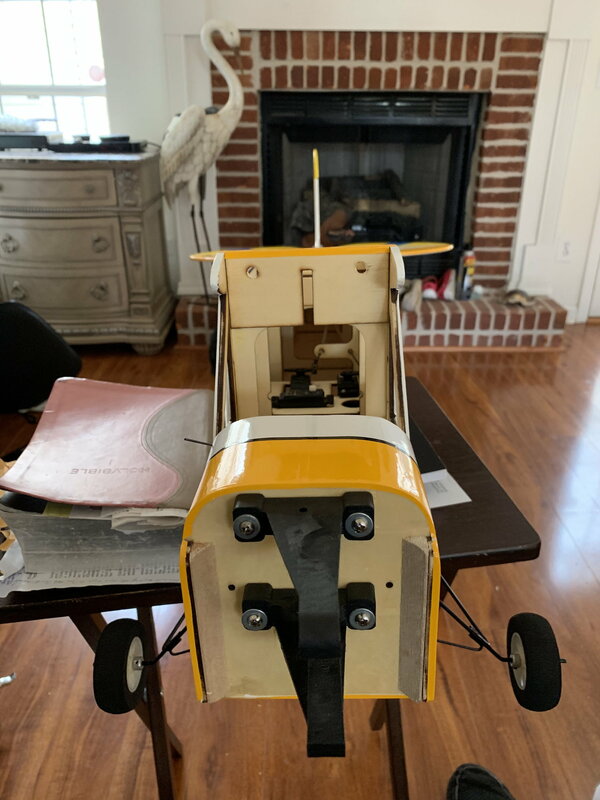 It ended up being a Dave Patrick Super Cub. 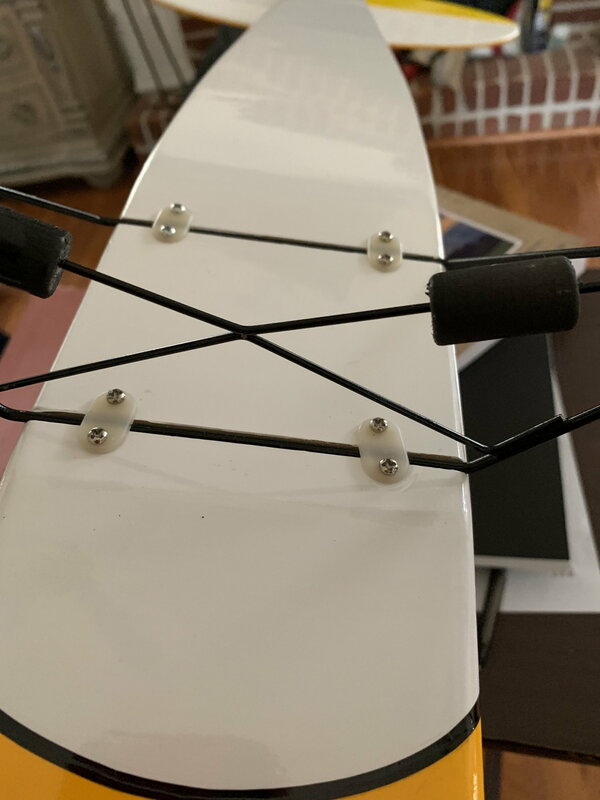 If you could post some pictures of the kit pieces, I might be able to help you identify it. I'm fresh off the hunt: I looked at Cub model kits for a day and half straight trying to find out what mine was! when I saw it the guy said it was a 25size but after getting it home I realized it was not. 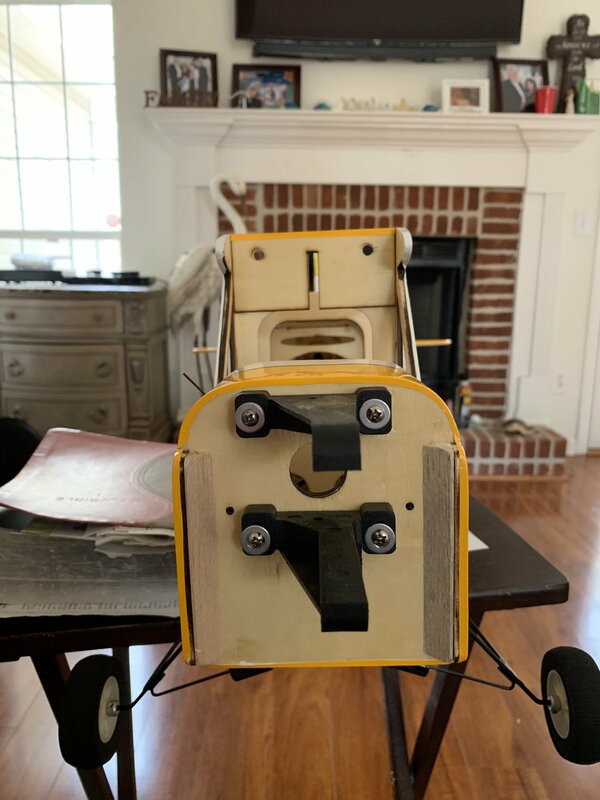 It didn’t have any instructions with it. I will take some pictures when I get back home. Okay, those pictures are helpful but I still haven't been able to identify it yet. If got a couple of notions about what it could be but there are some details that don't match up. Could you take a few more pics? 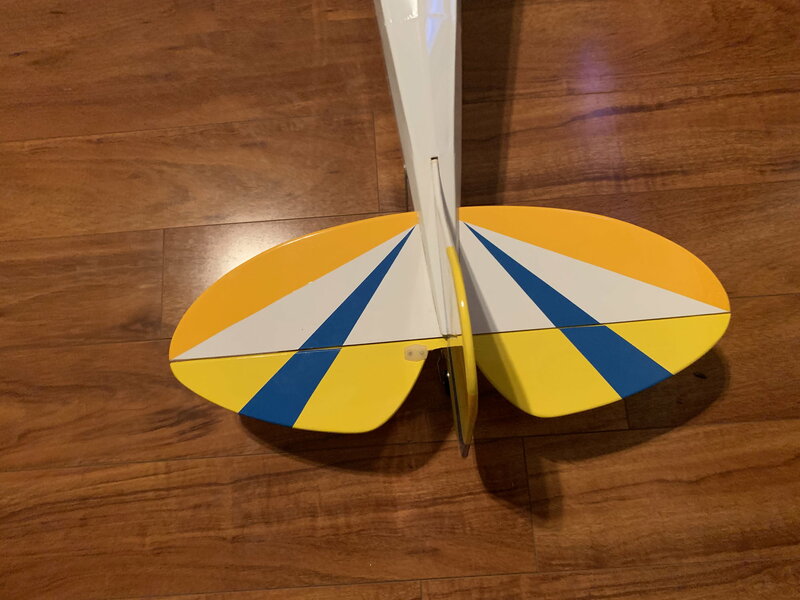 One showing where the landing gear attaches to the fuselage, one showing the center portion of the wing with the wing removed (from ontop of the wing and below the wing), and one shot from the front looking into the fuselage at the firewall? Here are a few more pics. I have already glued the wing halves together. 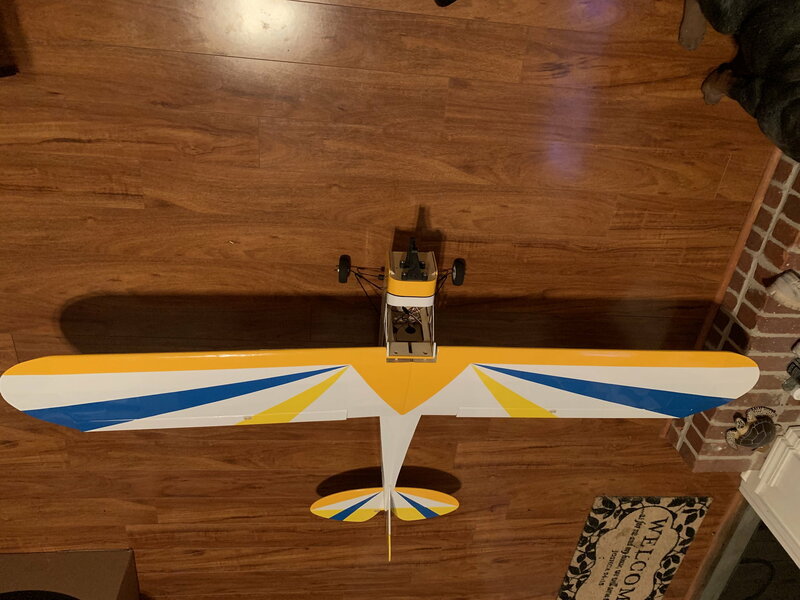 The man I bought the cub from said it was a 25 size plane. on another forum just like it but the post was from 2010 I think. Itried messaging the original poster but haven't got a response yet. Last edited by VonZipper65; 03-10-2019 at 02:32 PM. I am also a "Cub guy" who has never seen that model. It is a modern lazer cut, semi scale ARF, not a kit build. 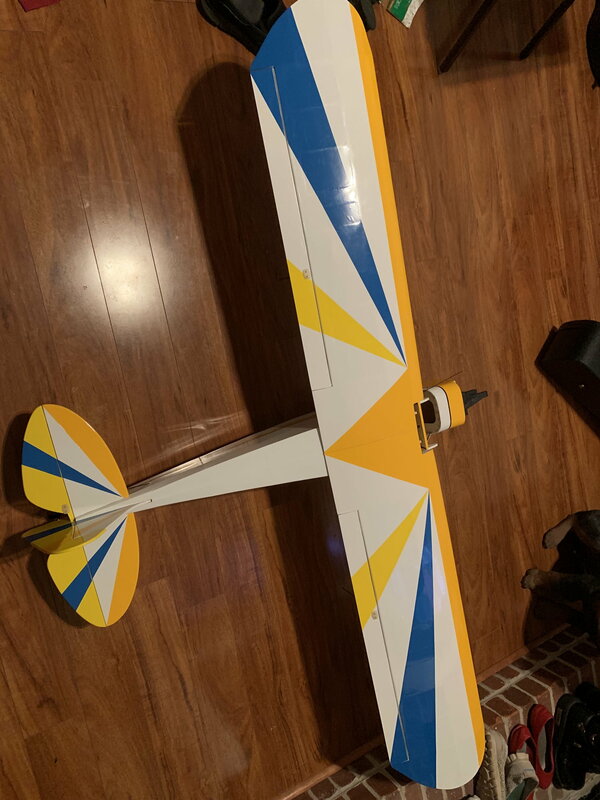 With a 71" wingspan I feel any good 40 size 2 stroke glow, or 50 to 60 size 4 stroke glow engine will fly it well. I would install an OS 52 4 stroke or an OS 46 LA mounted over on it's side (not inverted). 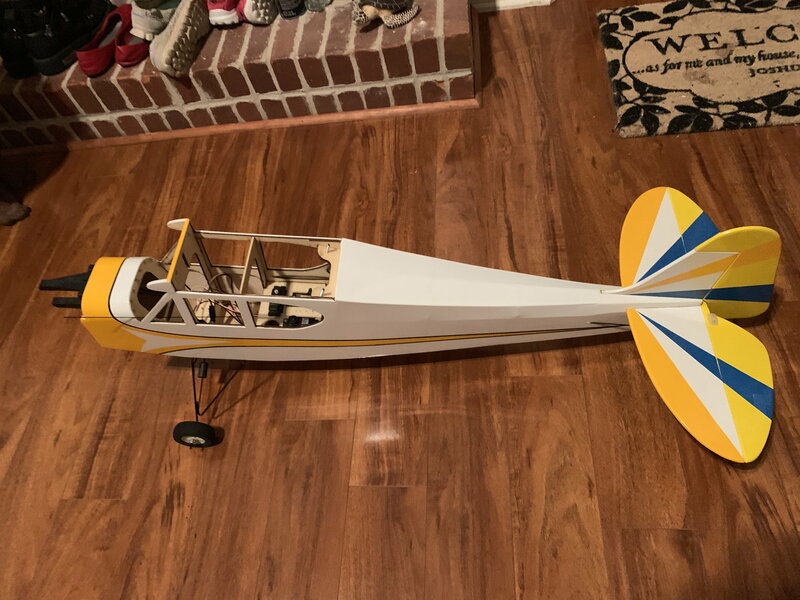 I had a 71" World Models J-3 with an OS 46 LA on it's side with a pitts muffler that flew very well (sold it at Perry last year). 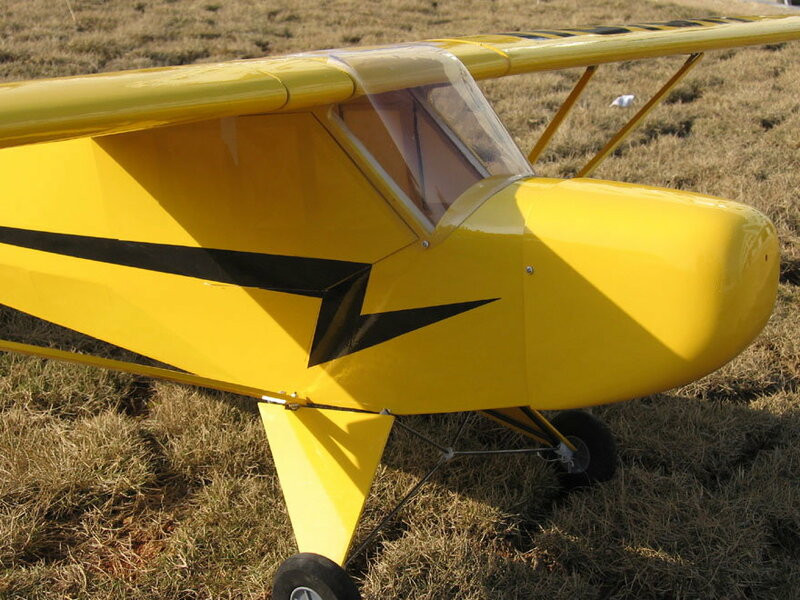 It's a good looking Cub, go over it with extra glue where needed, power it and fly it. Enjoy ! Last edited by VonZipper65; 03-10-2019 at 11:06 PM. The closest match that I've been able to find so far is a model sold by General Hobby. They offer, or did offer, numerous cub models. Two of these bear some resemblance to your model to me. 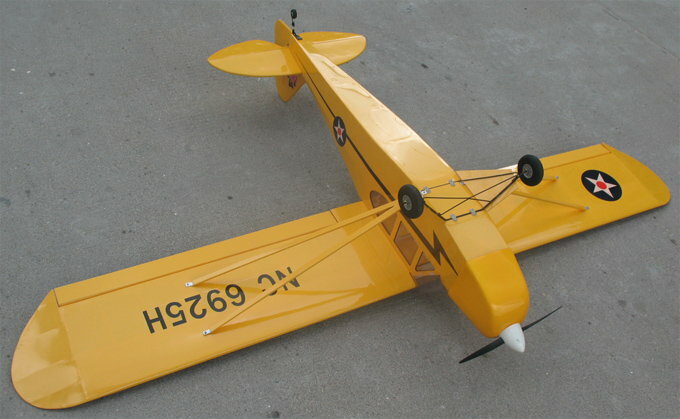 The first is out-of-stock model with a 71.5" wingspan clad in the conventional yellow cub color-scheme. 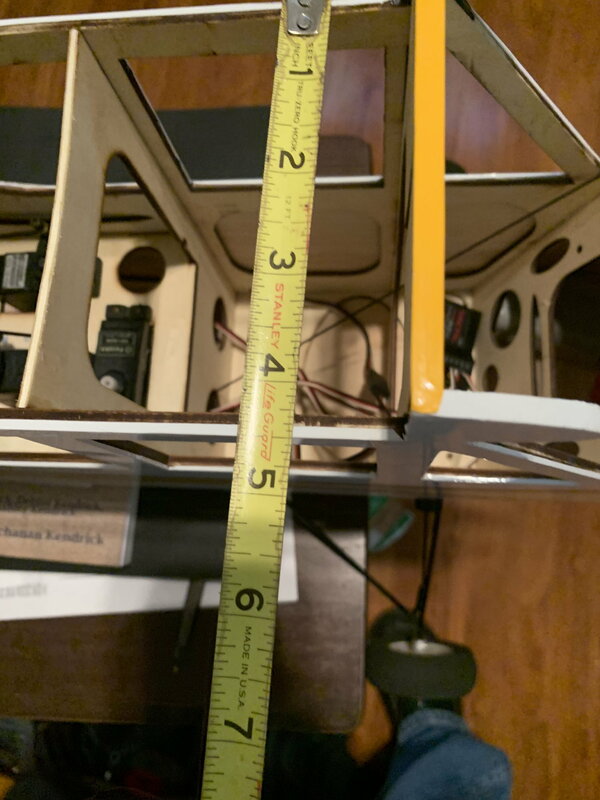 It only has one working picture of the 71.5" model and it is not very revealing. It does show a little of the wire main landing gear. It also appears that they covered the forward-most side window in monokote for some reason. And, of course, they don't offer an online manual to compare model similarities and differences. The graphic scheme doesn't match at all but, like I mentioned earlier, they could have offered a alternate scheme at one time. 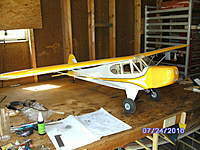 The other model is a Cub with a 80" wingspan does have photos which reveal a little more of the model's construction. This one is also out-of-stock. I know it's not the same size but it does appear to share some of the same construction features as your model. 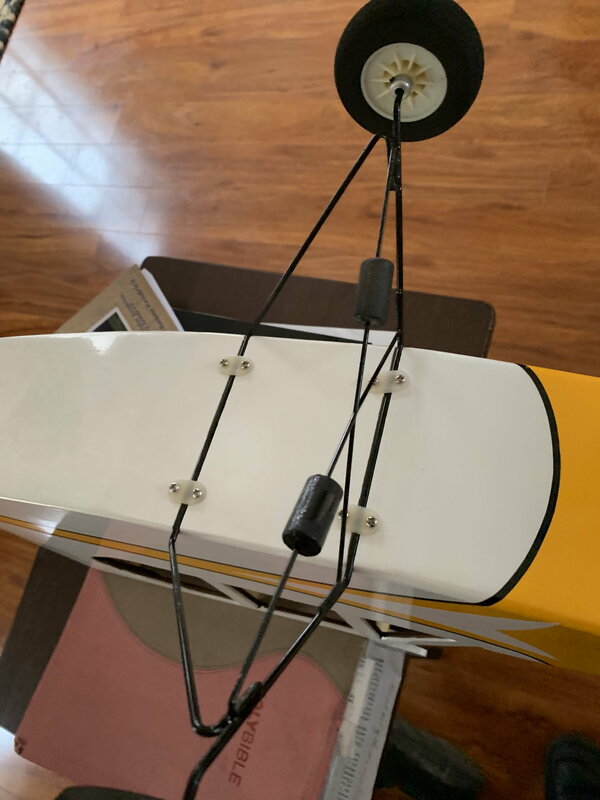 The formed wire main landing gear construction and mounting method appear similar to your model. Also, the method of wing attachment is the same. 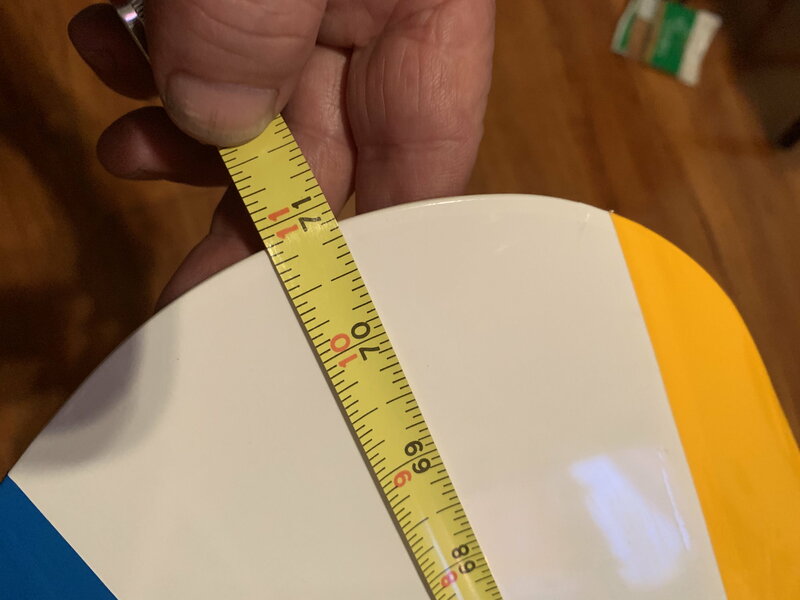 I am assuming, of course, the 80" model and the 71.5" model share the same construction. In fact, there's no way to be sure without other photos or studying the instruction manual. I bought it in perry this year, Thank you for your response. I don't have a 52 four stroke the one I have is a 90 I think. VonZipper65Thank You so much for the information. I know more than I did about this plane thanks to you. If I can ever help you out please let me know. 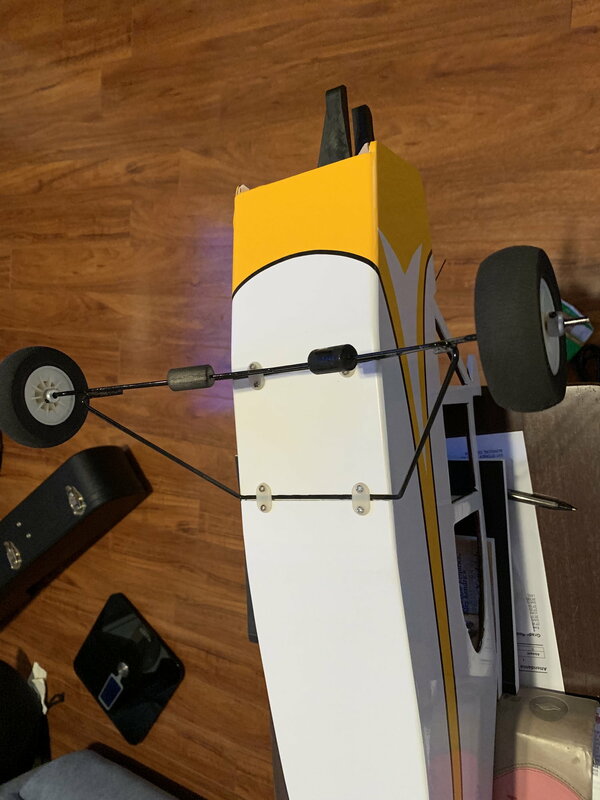 Last edited by bowhunter; 03-11-2019 at 06:56 PM. A 90 for stroke is wasted on this plane, save the 90 for something larger. Plus the nose weight of the 90 up there will make C/G balance a nightmare. Any modern 46 two stroke will be an easy fit and balance. 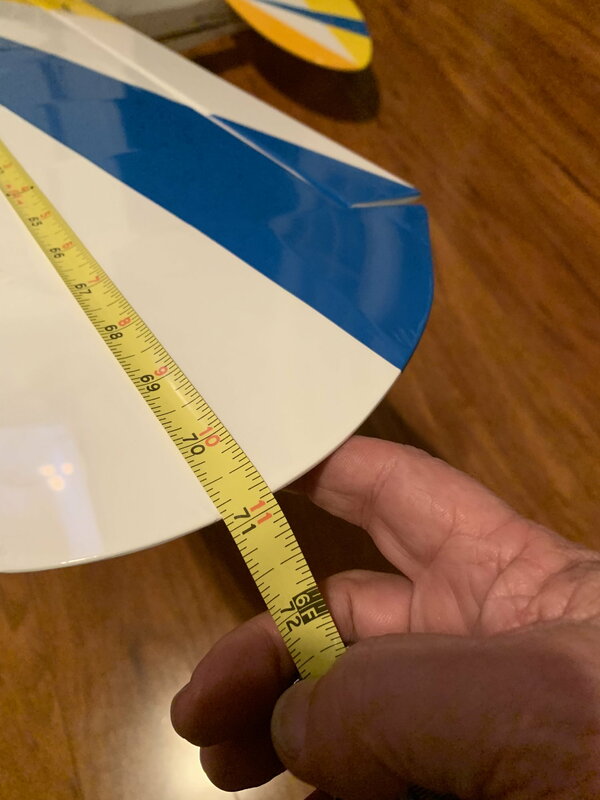 I'm still not confident your plane is the one sold on General Hobby but, like I said, it seems to have the most in common with all the other 71" Cubs (Scale & Semi-scale) that I've looked at. I have yet to find one with more similarities. 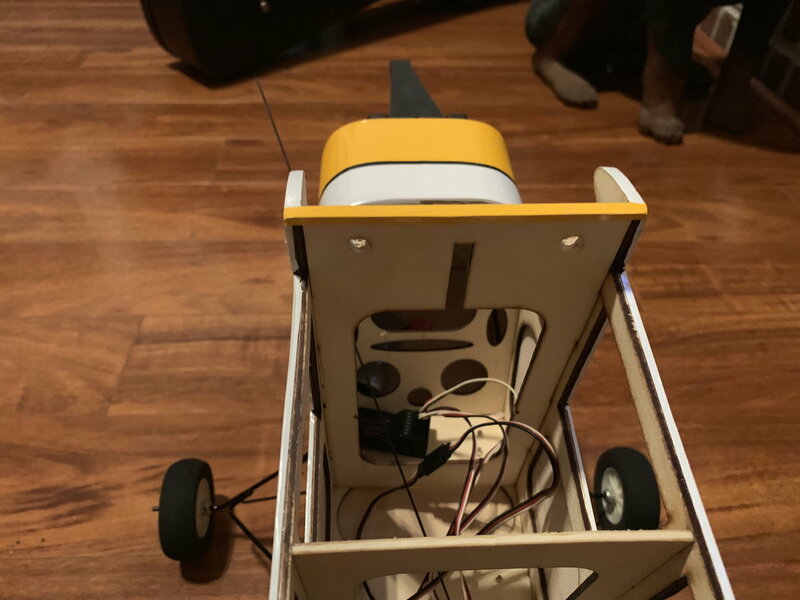 One difference that I didn't notice before is the cutout in the fuselage in the bulkhead or former (visible through the windscreen just underneath the center wing joint) on the last photo I posted. In that photo, the shape of the opening is a large, irregularly shaped "rectangle". 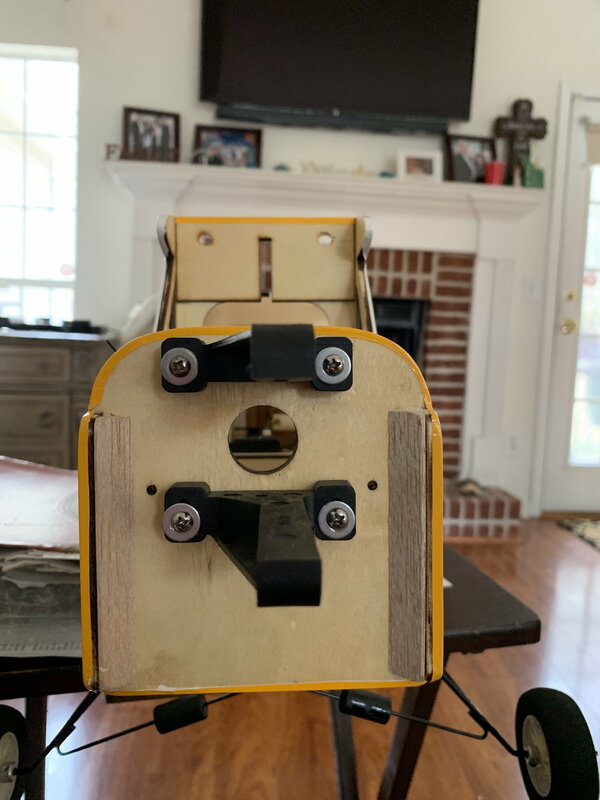 On your model, the former has a narrow, vertical rectangle slit. I didn't notice it earlier. Hopefully, General Hobby can give you a more definitive answer whether it's their model or not. Last edited by VonZipper65; 03-11-2019 at 11:20 PM.